While responding to a question about comments she made about keeping military action against Iran on the table should they violate the terms of the nuclear agreement, which Clinton said “is not perfect,” She warned: “What I said and what I mean is that there will have to be consequences for any violation by Iran and that the nuclear option should not at all be taken off the table. That has been my position consistently.” The crowd erupted into gasps and chatter regarding what appeared to be Clinton suggesting a nuclear weapon could be used against Iran if they fail to comply. Moments later, a lone, muffled voice rose from the front row with a loud, but inaudible, interjection. “What? The military option,” Clinton said, correcting herself. Now, the IBTimes is out with a new investigative piece that looks at the relationship between foreign government and corporate donors to Clinton charities and weapons deals negotiated under Hillary Clinton’s State Department which, as it turns out, approved $165 billion in arms deals to nations who had previously given money to the Clinton Foundation. In the years before Hillary Clinton became secretary of state, the Kingdom of Saudi Arabia contributed at least $10 million to the Clinton Foundation, the philanthropic enterprise she has overseen with her husband, former president Bill Clinton. Just two months before the deal was finalized, Boeing — the defense contractor that manufactures one of the fighter jets the Saudis were especially keen to acquire, the F-15 — contributed $900,000 to the Clinton Foundation, according to a company press release. 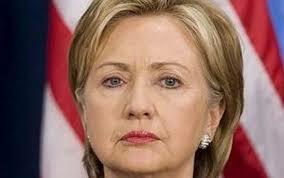 Hillary Clinton is as hawkish as the Bush neo-cons. Remember she was the first “Democrat” to vote for the invasion of Iraq in 2003. As President of the United States, she will target Iran and others who oppose “America’s Democracy.”Will she become the first female U.S. President? There was Barack Obama, the first African-American President. What card the political and financial elite have this time? A woman in the White House would make sense for the elites who donated mass sums of money to her campaign including her son-in law’s firm Goldman Sachs (a powerful financial institution). The first African-American was elected; now the real possibility of a woman president can be a reality. It will satisfy women’s rights advocates and organizations as well as feminist activists. Who could argue against a woman who is as tough as a man in the White House? Many in Israel support Hillary and so does the Saudi’s who donated millions of dollars to her foundation. All of the candidates including Donald Trump who calls the Iran Nuclear Deal, a bad deal will be a pro-war president. Trump was quoted as saying “Never, ever ever in my life have I seen any transaction so incompetently negotiated as our deal with Iran,” Trump said. “And I mean never” at a rally with another war hawk Ted Cruz to Stop the Iran nuclear deal this past September. Trump also said “We lose everywhere,” Trump continued. “We lose militarily. We can’t beat ISIS. Give me a break…We will have so much winning if I get elected you might get bored with winning.” Every President of the United States since 1776 has been about war, “peace” on the other hand has only existed for a mere 21 years since its inception according to a 2011 article by www.loonwatch.com titled ‘We’re at War! And We Have Been Since 1776: 214 Years of American War Making’ which lists every war the U.S. has been involved in. Why would Clinton, Trump, Rubio or any of the presidential candidates ask for anything less except for more wars? Peace and prosperity is not on the agenda, war is. Hillary Clinton fits the job description as a war hawk and as a woman; she might be a little more hawkish than any of her political rivals. Let’s see, a woman who is out to prove that she is tougher than her male counterparts is a dangerous recipe for a nuclear war especially against Iran. Hillary Clinton is as dangerous as you can get.